The main event in 2004 shattered all prior attendance records at the World Series of Poker, or anywhere in the world of poker, for that matter. The final count for entries was 2,576, and, once again, many of them had won their way in through online and live satellites. PokerStars had once again supplied a large amount of players with 315 entries. To accommodate the massive growth, the tournament schedule was expanded to seven days, and two day ones were needed so the field could fit inside the Horseshoe. This was also the first year that the tournament was owned by Harrah’s. They purchased the Horseshoe from the remnants of the Binion family solely for the rights to the tournament series. The first-place prize had grown to $5,000,000, while the second-place prize was $3,500,000. The two payouts would be the most any two players would receive in a poker tournament, ever, up to that point in time. The preliminary events that year were highlighted by three big wins for three of the best women players in the world. Cyndy Violette won the $2,000 seven-card stud eight-or-better tournament, Kathy Liebert won the $1,500 limit hold’em shootout, and Annie Duke won the $2,000 Omaha eight-or-better tournament. 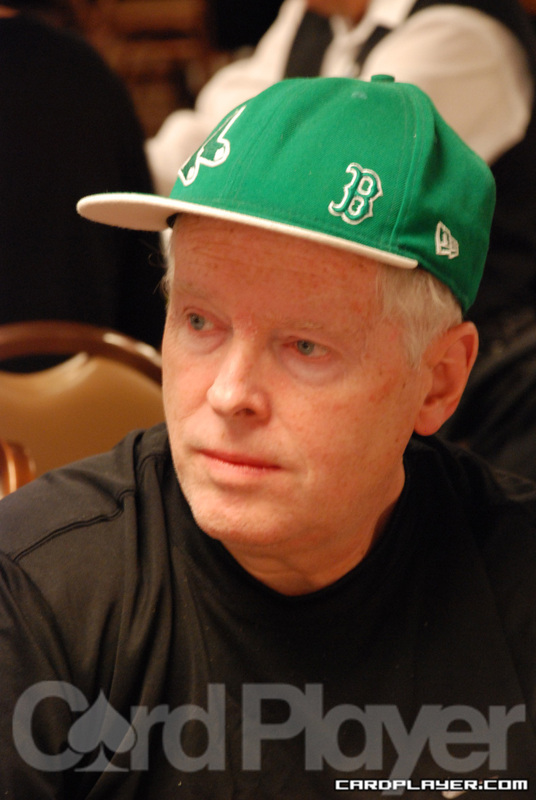 Ted Forrest was the only double-bracelet winner in 2004, picking up titles in the $1,500 seven-card stud and $1,500 no-limit hold’em event, which gave him five bracelets for his career. T.J. Cloutier also added to his legacy by winning his fifth bracelet in $1,500 razz. Each day 1 in the main event that year was a madhouse, both at and away from the tables, as excitement filled the air and chips flew across the tables at an alarming rate. The perpetual preference of amateurs to move all in at every opportunity was not too nice to the pro players in the field, and many of them busted in the first days of the event, including many of the former world champions in the field. Doyle Brunson managed to survive the madness and made a deep run to day 5 in the event before busting out and cashing in 53rd place for $45,000. Greg Raymer and Josh Arieh had established themselves with aggressive play during the early days of the event. While Arieh took a roller-coaster ride to build his stack, Raymer was aggressive early and often, and it had helped him consistently build his stack into the chip lead. 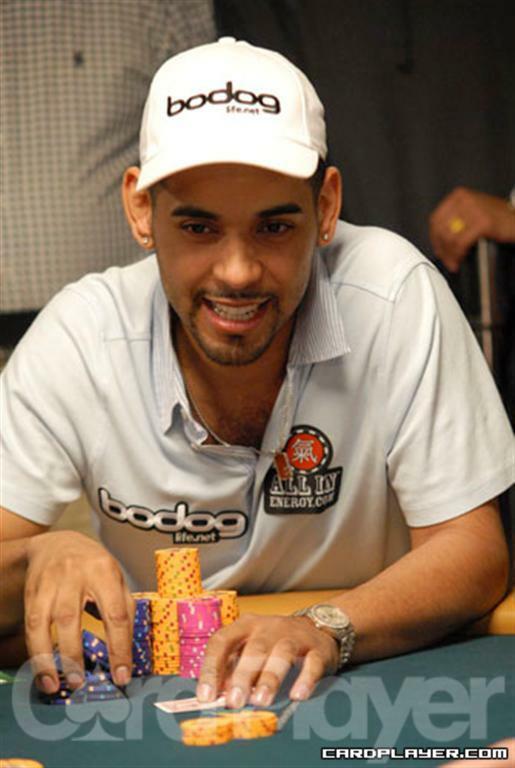 During play at the final-table bubble, Arieh found another gear of his aggression, and it looked like he might take over the tournament, but after knocking out James Grimes in 12th place and Dewey Archer in 11th place, he doubled up David Williams in a large hand where Williams hit an ace to survive. Marcel Luske then fell in 10th place, and the final table was set. Joining Raymer, Arieh, and Williams at the final table in 2004 were Michael McClain, Mattias Andersson, Matt Dean, Al Kux, Glenn Hughes, and Dan Harrington. Harrington had made the final table the year before, and his appearance at back-to-back final tables in the two largest poker tournaments in history at the time is considered one of the greatest achievements in the modern poker era. Raymer held 8 million when the final table began, and he quickly put that to work busting four of the first five players. He sent McClain to the rail in ninth place, Andersson in eighth place, and then Williams took a turn sending an opponent to the rail when he eliminated Dean in seventh place. Raymer took over the elimination duties again after that, and he sent both Krux (sixth) and Hughes (fifth) to the rail. Harrington was then on a short stack, and he pinned his hopes on a gutshot-straight draw against Williams. Williams made a full house on the hand and sent Harrington to the rail in fourth place. Harrington was awarded $1.5 million, and when paired with his third-place finish from the year before, he had made $2,150,000 in main-event winnings in just two years. Arieh was the low man on the board at this point, and he decided to push all in with pocket nines in the hole while he still had enough chips to be relevant if he won the hand. Raymer called him with A Q . The flop was dealt Q Q J to give Raymer trip queens, and when no help came for Arieh on the turn or river, he was eliminated in third place. Raymer now held 17 million, which was twice as much as his opponent, Williams. Both players had won their way into the tournament by winning an online satellite tournament on PokerStars, guaranteeing that a PokerStars online qualifier would be the world champion for the second year in a row. Just seven hands into the match, Williams bet 300,000, and Raymer made the call. The flop was dealt 5 4 2 . Raymer checked, and Williams bet 500,000. Raymer raised to 1.1 million, and Williams made the call. The turn fell 2 , and Raymer fired out 2.5 million. Williams made the call once again, and the river brought the 2 . Raymer moved all in, and Williams called all in. Williams held A 4 for a full house, but Raymer flipped over pocket eights for a larger full house to win the world championship. Re-Entry Tourneys: Good or Bad for Poker?